Indulging in a whole load of Mexican food - Mohujos, Stockton | gingerbread smiles. As you may well know, I'm a lover of Mexican food. Whenever there is an opportunity to get a burrito I'll take it. I'm always cooking up chicken fajitas or chilli con carne at home and knocking back the guacamole and tortilla chips. It's my favourite cuisine. 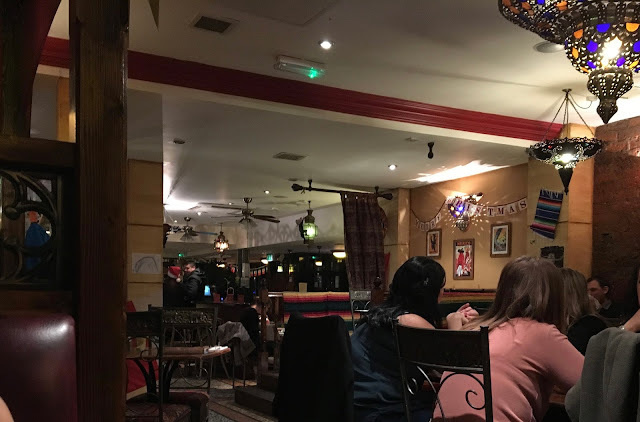 In Middlesbrough there aren't many independent places that I know of that serve good Mexican food. We have Chiquitos of course, but quite frankly its pants. I've written on my blog before about Mohujos Burrito Bar on Bedford Street which is a descendant of the original Mohujos which sits across from the River Tees in Stockton. Before Christmas myself, my Mum and Sister all paid a visit to the OG to see if it was any good. 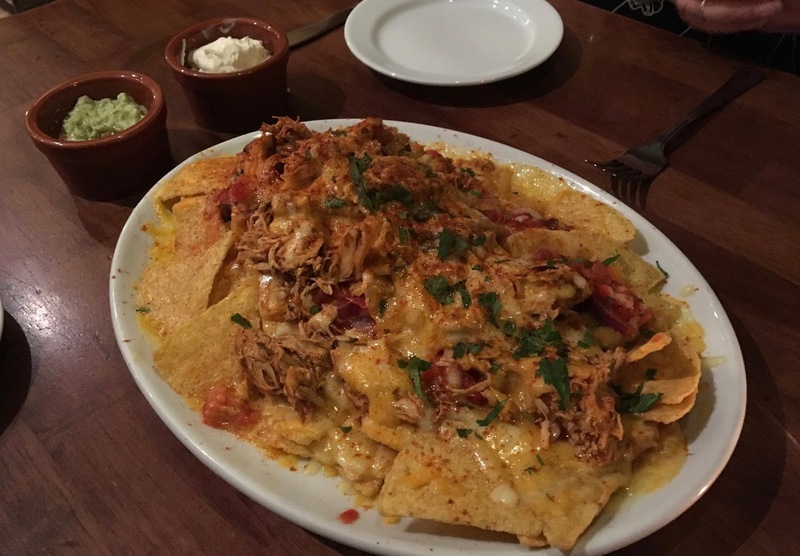 As it was the festive season, we decided to go all out and start with the Grande Nachos to share between the three of us. This was a large plate of nachos covered in chipotle chicken, salsa and loads of delicious cheese. On the side we had guacamole and sour cream, these could have gone on top but my sister is super fussy! These were delicious, we stuffed our faces and soon realised the mistake we'd made as we were pretty full. Our left over nachos were taken away and our main courses came pretty soon after which none of us were ever going to finish. My sister picked Chicken Enchiladas (oven baked tortillas with cheesy enchilada sauce filled with chipotle chicken and smothered in more sauce then topped with Jack cheese), I had Chicken Tostadas (fried corn tortilla baskets filled with refried beans, mixed beans, red pepper finished with guacamole, sour cream, cheese and salsa) and Mum chose Nacho Chicken (chicken breast with salsa, cheese, tortilla chips, guacamole and sour cream). 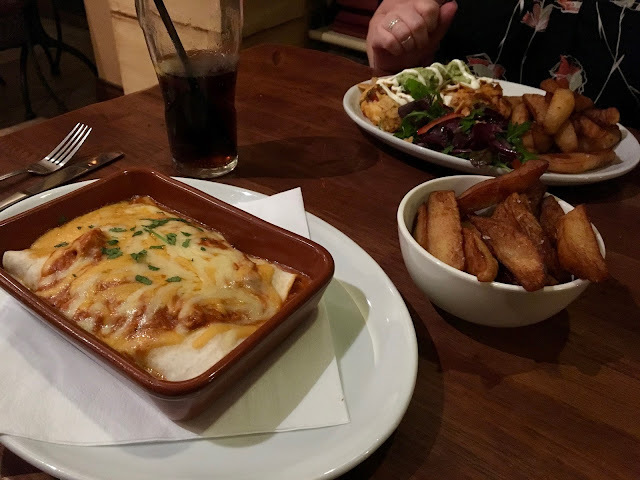 Each of our dishes was very yummy with lots of good quality meat, fresh salad and tasty sides it was just a shame we were all too full to finish! 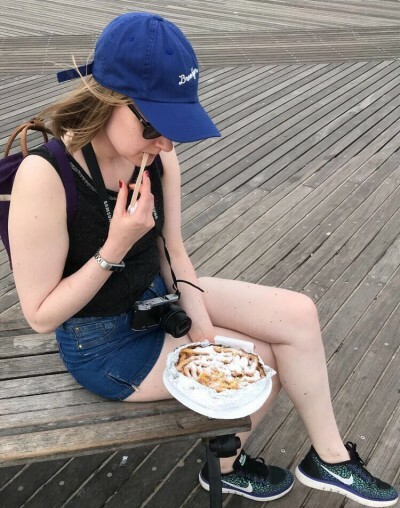 Although we were literally bursting at the seams, my sister said she needed some churros. I mean to come to a Mexican restaurant and not have churros is pretty much against the law, so she got some. Myself and Mum had been on the cocktails having around three each including Daiquiris and Mexican sunrises. There was a good list of choices, but they didn't come out looking pretty enough for any photos. Instead of dessert I asked for a hot chocolate with a shot of Kaluha which was a little too strong for my liking! 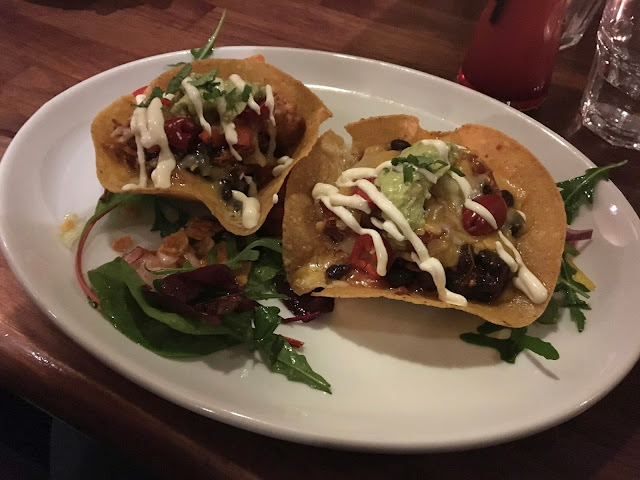 We left Mohujos full of delicious Mexican food, feeling a little bit tipsy and vowing that we would definitely visit again. I LOVE Mexican food, it's my favourite! Looks amazing there, I'm totally hungry now after reading this post! And Yes, not getting churros after Mexican is against the law! !